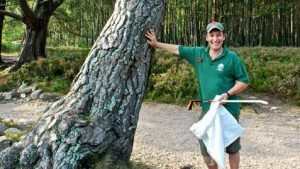 The longest established private estate Ranger service in Scotland is here to help you enjoy, care for and learn about Rothiemurchus and the Cairngorms National Park. 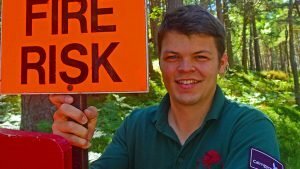 My friendly and experienced team are the longest established private sector Ranger Service in Scotland. We are here to help you enjoy Rothiemurchus, through our wide range of activities and in-depth knowledge of the area. We want to enhance your journey through the estate and bring it to life. Please feel free to pop in for a chat or call 01479 812345 if you have any questions or join us on one of our Ranger Led Activities. One of our Ranger Team is always available during 9.00am and 9.30am or 4.30pm and 5.00pm please contact the Rothiemurchus Centre for more details.